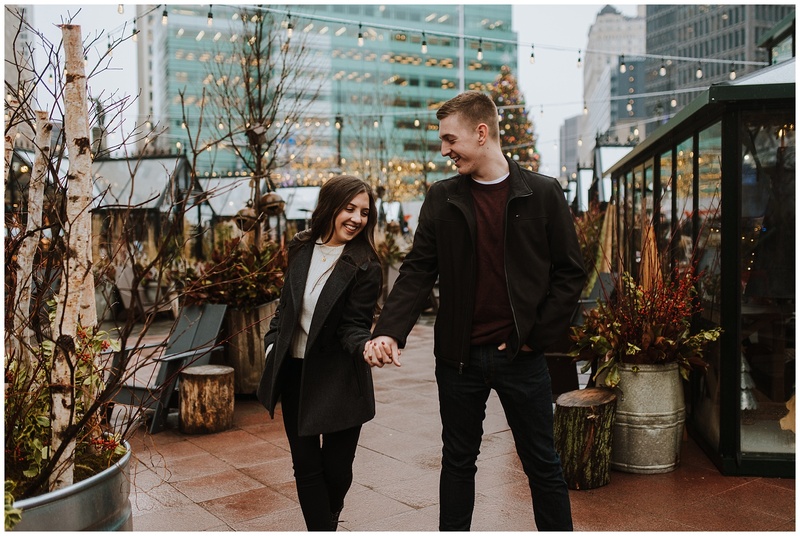 With their wedding just over a month away, I thought it was high-time I shared images from Lindsey and Clay’s Campus Martias engagement session just before Christmas. 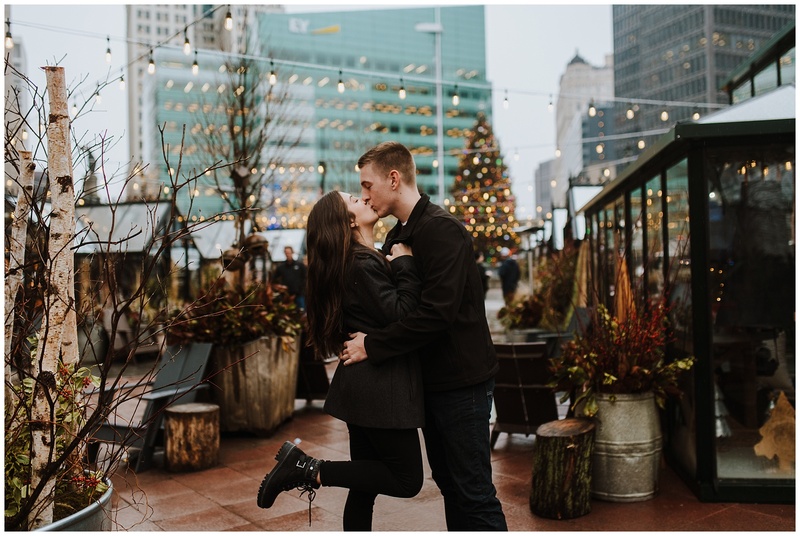 We weren’t exactly sure if we’d get to sneak in this session, as Clay is stationed in Europe, but he came home for a few days at Christmas and we all met up downtown for a session with all the cute Christmas village stuff in Campus Martias. 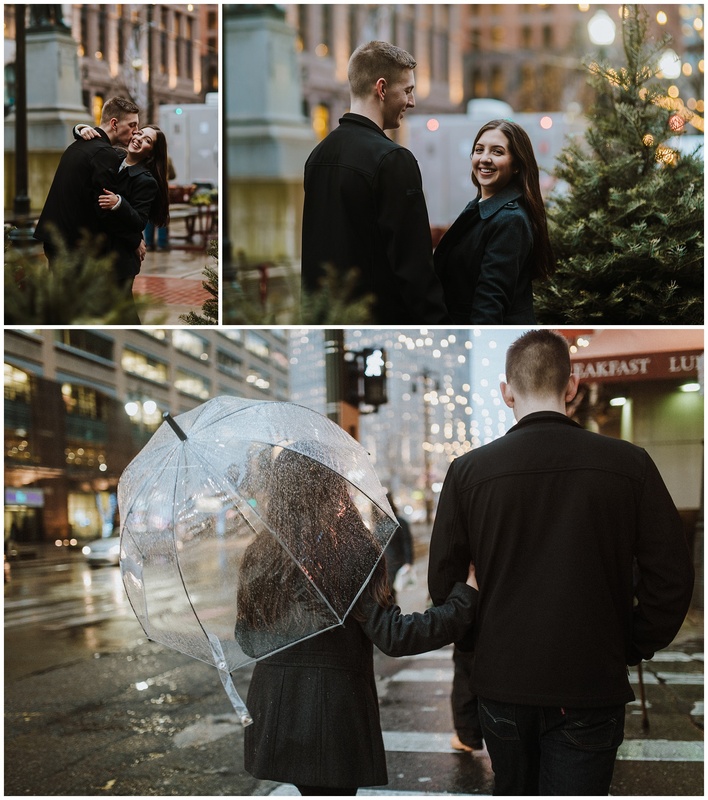 Unfortunately we didn’t get snow…it was raining…but it didn’t matter because these two were up for anything! 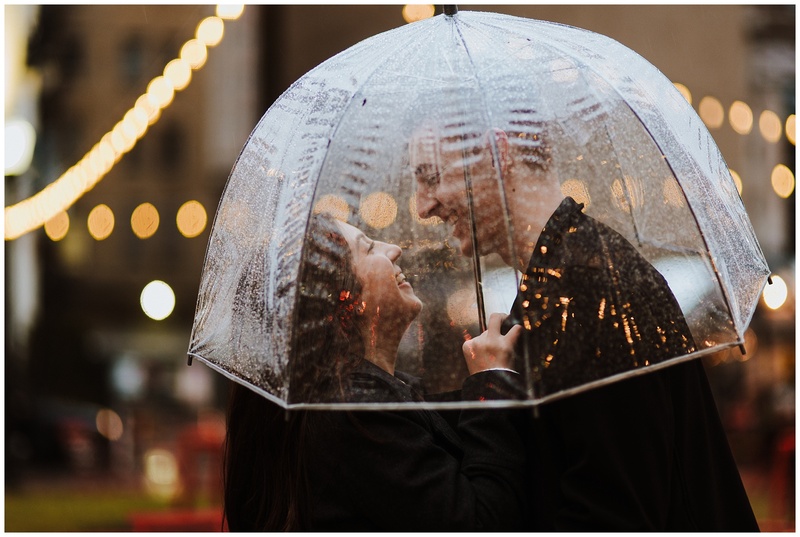 I think Lindsey and Clay may be the youngest couple I’ve had the chance to photograph. 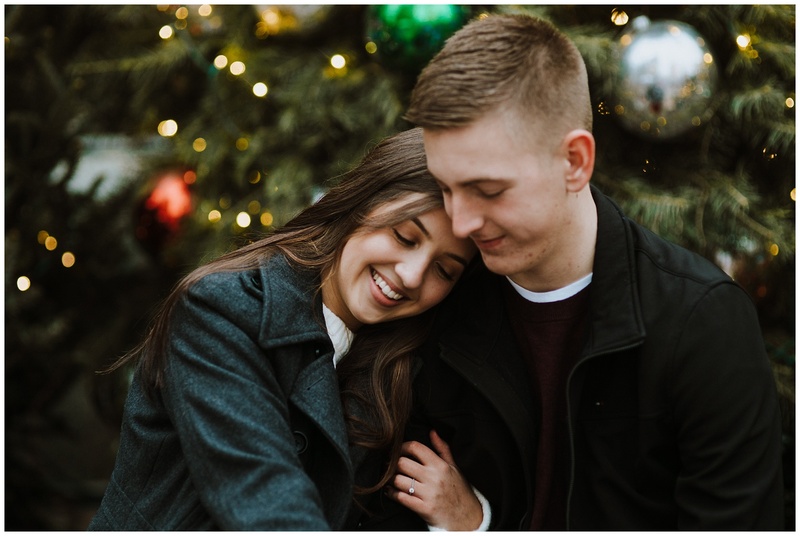 They are high school sweethearts and have had a long distance romance and engagement. 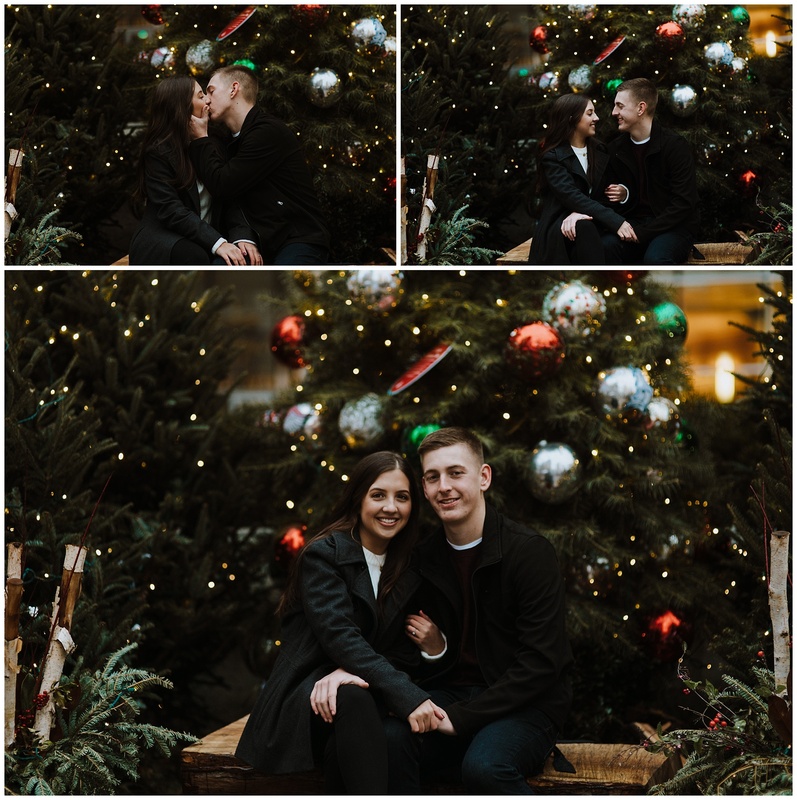 I know they are both really excited to get married in May and right afterwards are moving to Georgia where they’ll FINALLY get to live not only in the same country and state, but in the same house! How exciting! 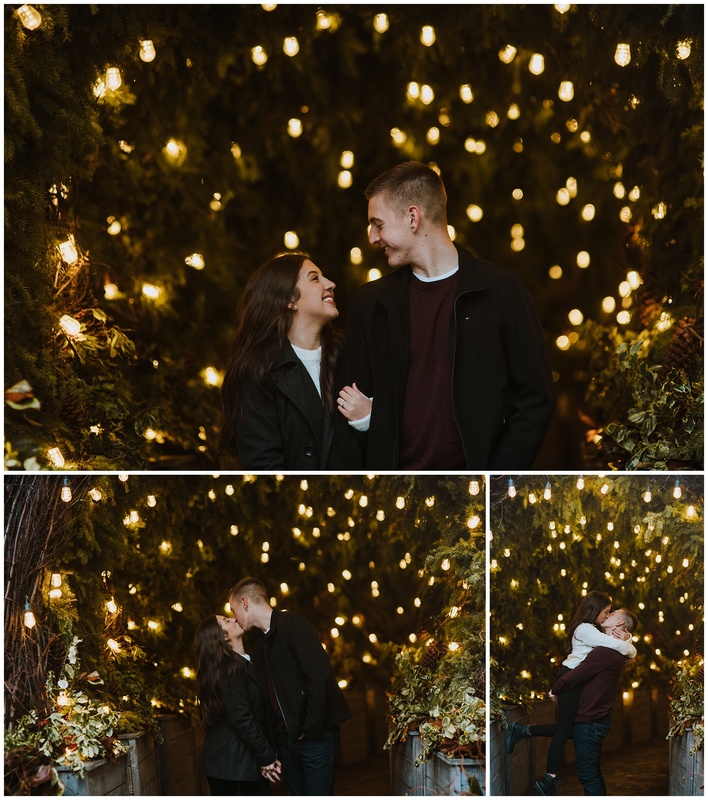 I loved photographing the Christmas lights and using the outdoor installations. 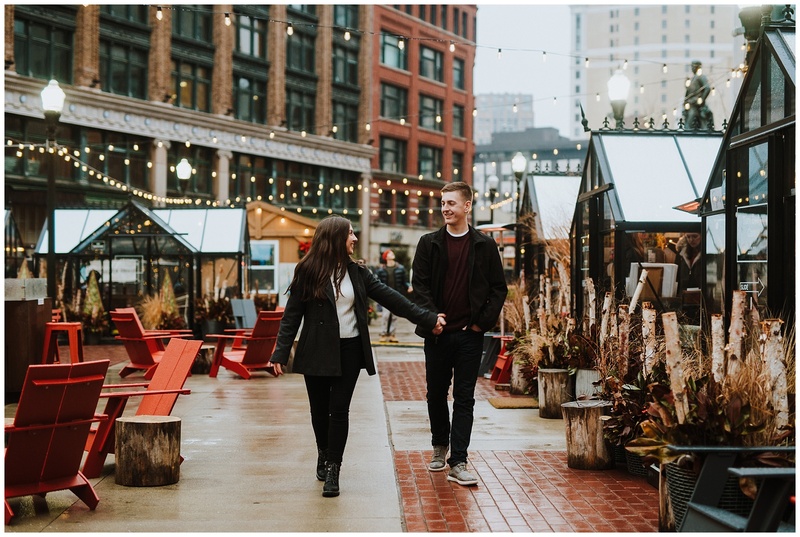 I know it’s a super popular thing to do in Detroit, but it makes for some lovely photos during the winter season, even if it’s not snowing. 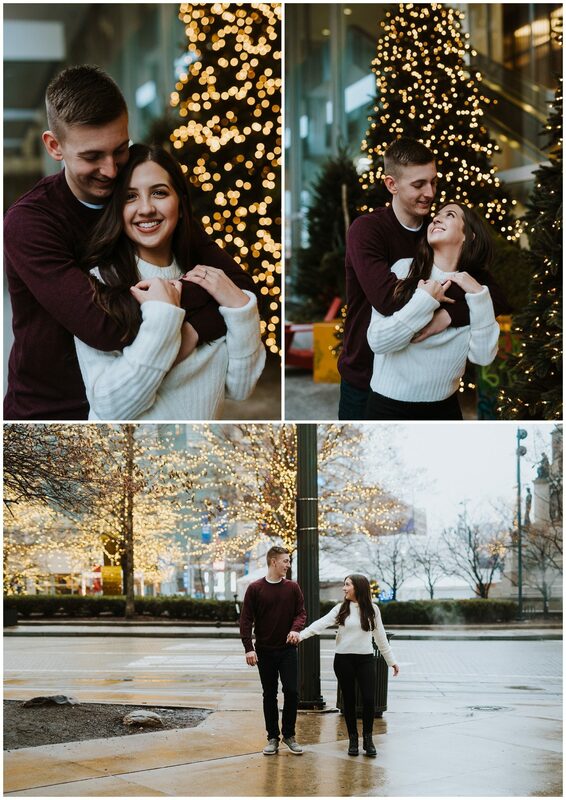 Lindsey and Clay are super cute and were just naturals in front of the camera. 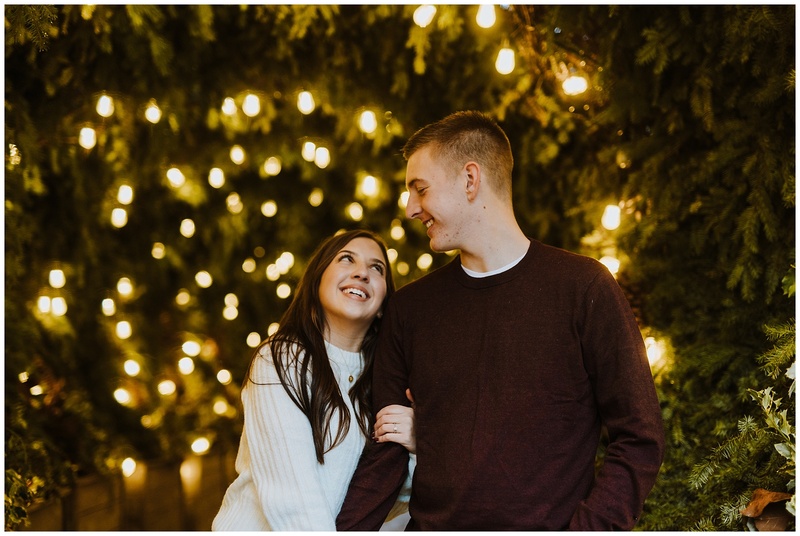 I’m super excited to kick off my official 2019 “wedding season” with their wedding May 3!